With the national election scheduled for December 23rd in DRC, it is important, despite the potential distractions, that the ICCN rangers stay focused on controlling illegal activities inside the OWR. OCP continues to provide prompt payments of bonuses to the rangers for their efforts on patrol and supports the medical care for their families. OCP also provides the fuel and spare parts for ICCN’s vehicle fleet and supports communication and intelligence networks necessary to coordinate the strategic deployment of rangers to counter threats. 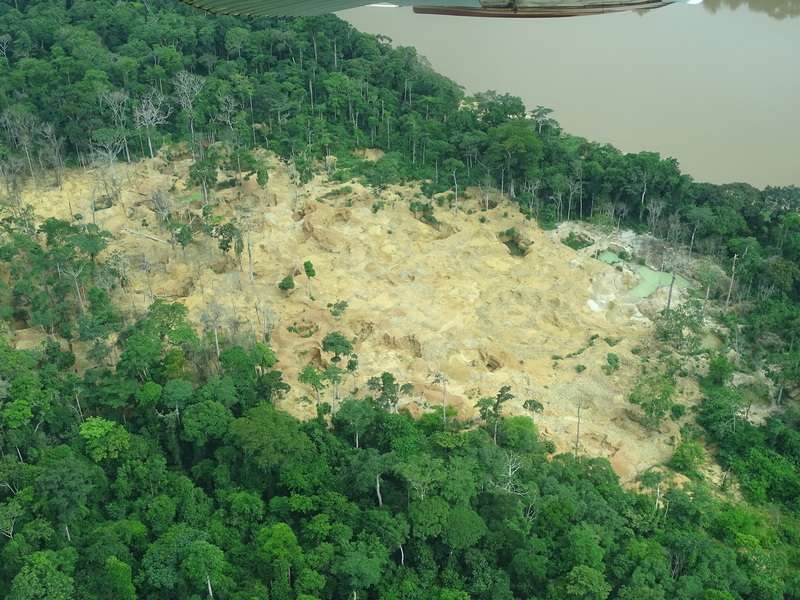 Gold Mine from Aerial Survey. 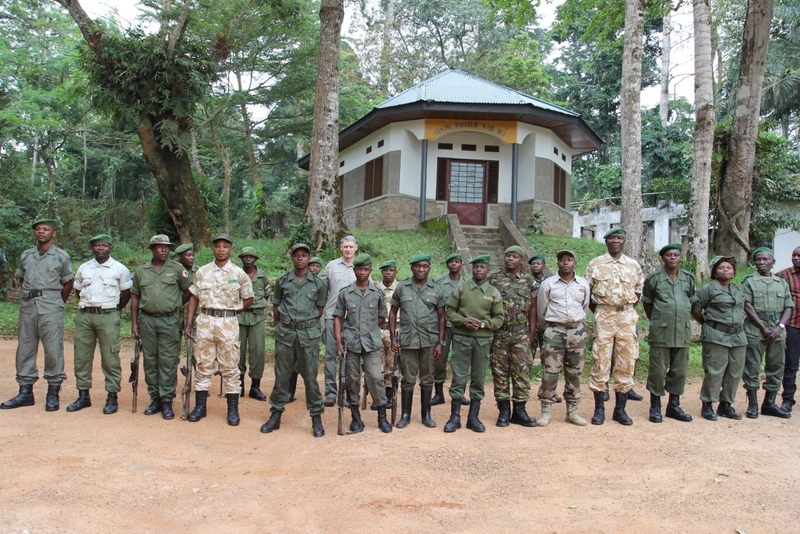 During July, August and September, ICCN rangers mounted 154 patrols which covered 5,492 kilometers of forest trails. During patrols, the rangers collected 1,625 snares, closed 17 mining camps and destroyed 5 poaching camps, arrested 13 people and evacuated 79 miners. Mining equipment, one AK47 and 90 rounds of ammunition were confiscated. 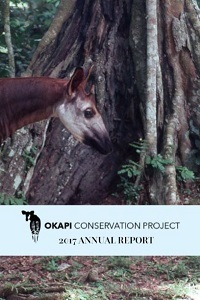 While on patrol, the rangers observed 3 okapi, 17 chimpanzees and 294 primates consisting of 8 species. Signs of many species were documented to provide data to help determine wildlife population trends over time. 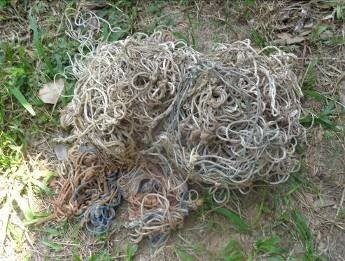 Snares collected while on patrol. The month of December will present several challenges with the increased travel associated with the election and the regular, expected spike we usually see in poaching around the holidays as people try to make money to pay for holiday meals and gifts. To counter these threats, rangers need to spend more time in the field which increases operational costs. We depend on your donations to pay the dedicated and brave wildlife rangers, so please keep us in mind as you think about your year-end giving plans.